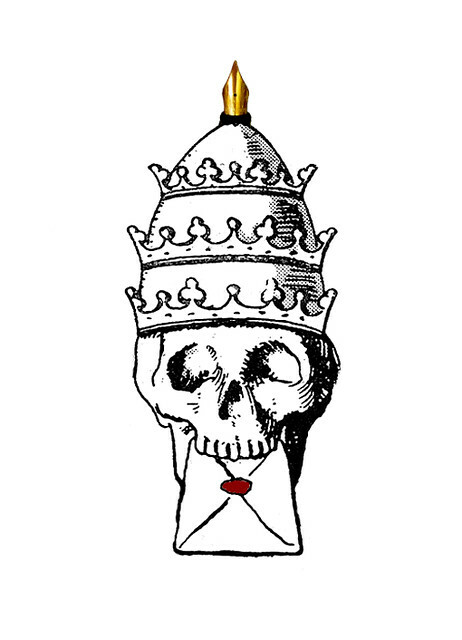 I've been playing around with my favorite envelope skull graphic. The cross on the top of the crown has been bothering me, so I made it a little more letter-oriented... I took the nib from one of my pen photos and put it on top the crown.